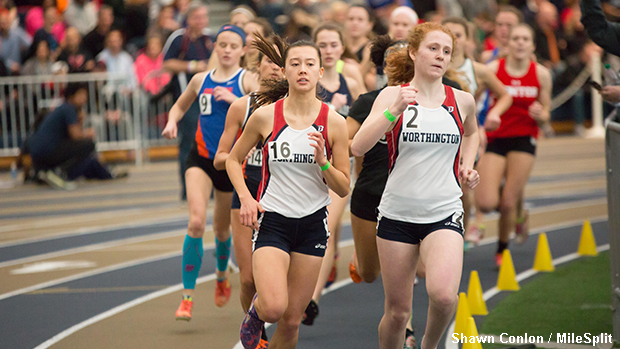 Thomas Worthington's Gia Napoleon (#2) is the top ranked DI returner in the 800m event. The third part of MileSplit Ohio's four part series featuring the top ranked returning athletes in each event in Ohio indoor track and field focuses on girls in DI. An article covering the top returning boys in DI will be posted later this week.